Black Girl Squee - Episode 5 (with Savannah J. Frierson) | Black Girl Squee! In Episode Five of Black Girl Squee, Inda Lauryn (@indascorner) and Didi (@dustdaughter) talk about Kimberly Rivers Roberts, Kelis, Ruby Amanfu, Lalah Hathaway, and Grace Jones in our Squeeworthy News. 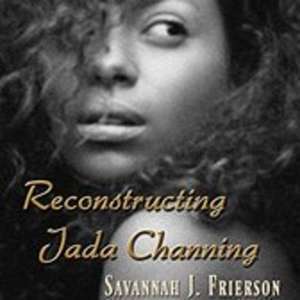 Then we interview our special guest, author Savannah J. Frierson! We ask why her hometown is a prominent part of many of her novels, the joys of self-publishing, the challenges of Amazon reviews and our favorite topic, Black women and pleasure. Press play and squee with us! You can contact the show by email at blackgirlsquee@gmail.com or on Twitter @blackgirlsquee. Sorry about the audio problems; we're doing our best! Intro/Outro music is "Magic" by Amel Larrieux. We love you, Amel, please don't sue us!